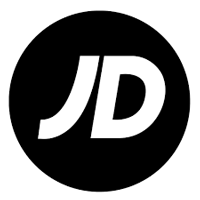 JD Sports Fashion Plc (LON:JD. ), the leading retailer of sports, fashion and outdoor brands, today announces its interim results for the 26 weeks ended 4 August 2018 (comparative figures are shown for the 26 week period ended 29 July 2017). 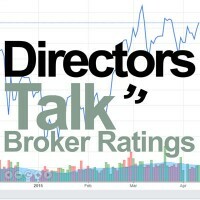 1 This is a non-trading charge relating to the amortisation of various fascia names and brand names which arise consequent to the accounting of acquisitions made over a number of years. The increased charge in Sports Fashion relates to the amortisation of the Finish Line fascia name with the provisional fair value on acquisition of £71m being amortised over 10 years with a charge for one month (£0.6 million) applied in the period to 4 August 2018. “The Group continues to make excellent progress with the profit before tax for the 26 weeks ended 4 August 2018 increasing by a further 19% to £121.9 million. The increase in the operating profit of £20.6 million to £123.9 million includes a contribution of £4.8 million from Finish Line in the seven week period post acquisition. “This is another record result for our Group demonstrating that our multibrand multichannel premium offer has resilient profitability in its core UK and Ireland market with capacity for continued growth across an increasing number of international markets. “Against a backdrop of widely reported retail challenges in the UK, it is extremely reassuring that the profitability in the UK and Ireland Sports Fascias has been further enhanced. This reflects the value of the investments that we have made over a number of years in developing a dynamic multichannel proposition which marries the best of physical and digital retail enabling customers to interact with us where and when they want and through the channel of their choice. Click JD for the full archive.